Martellen’s reputation is staked on Mary Ellen’s passion and ability to see a style or fashion that works for her customers and delivering excellent customer service. We carry designers such as Maggie Sottero, Sottero and Midgley, Pronovias, Kenneth Winston by Private Label, and Stella York, among others. I am amazed by how many beautiful gowns this store has to offer and also a large selection. I will forever be grateful for them. I picked a Maggie Sottero dress and Kathy and Maryellen were with me every step of the way to make sure it looked the best it could on my wedding day. 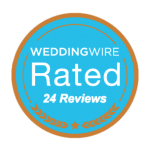 Check out our reviews from our happy brides. Our wide selection, impeccable service, and affordable price points make us the first choice for beautiful brides. We have hundreds of bridal gowns from designers like Maggie Sottero, Sottero and Midgley, Pronovias, Kenneth Winston by Private Label, Stella York, Ella Rose by Private Label, Casablanca Bridal and Pronovias One Collection. 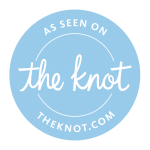 Not only can you find your dream bridal gown, let us help you find the perfect gown for the most important woman in your life. Featuring designs from Mon Cheri and more, our staff can help you find your perfect fit. Bring your bridal party. With a wide selection of gowns by designers like Bari Jay and Gather & Gown, our stylists will help you pick dresses that compliment your style and vision.